* Project Engineer, 1985-1986, 1978-1982. A 68020 VME CPU card prototype with floppy, SCSI port, 1 Mb serial I/O channels, and an IBM keyboard interface was designed by me, and eventually replaced with a more economical Motorola CPU card. I also designed the video system, and included a 1024x800 display with 8 shades of grey, a grey-scale pallette, and a double-buffered architecture for cursor animation. My demonstration of the animation capability included flying flamingos and a quilt of eagles. I wrote a 10K graphics software package to test the hardware, composed on a VAX/VMS and on a VERSADOS system. In addition, I wrote a program to compute video timing parameters in C for different choices of screen pixel density. The display was capable of higher resolution, to 1248x1024, using the same monitor used on SUN workstations. It was offered with software for display ad composition in a newspaper environment. The 1024x800 pixel density was appropriate for a pixel-per-point font presentation, giving a fair representation of of the distance between baselines of type on a digital monitor. This was the AIM system. It was shown at trade shows and some units were sold. Higher-speed versions of the 68020 were considered for still higher performance. Earlier, I developed the hardware and software for an 8086-based interactive graphic system, the ADCOMP display ad composition terminal. A patent was awarded to me for the character generation technique. It was my job to design the version of the 8086 card that went into the product, and also the Multibus RAM and PROM cards, and the digital video card with two area cursors and a cross-hair cursor. 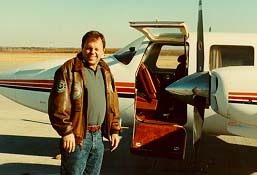 The original composition system was written and perfected by myself and Lisa Powell, who was responsible for testing. After I left the project Lisa went on with Mike Christianson to enhance the product. Software accretions slowed the machine down, and the next version, the AIM system based on the 68020 described in the preceeding section, was more ergonomical, faster, and more attractively packaged. Lisa Powell was obliquely memorialized by Apple, which came out subsequently with LISAs to remind us about sharing credit. Many system concepts came from Harris and Zenotron. Numerous Mycro-Tek staffers contributed useful concepts (including Kenny Castor in Sales) and the AdComp was an exciting product in those days. 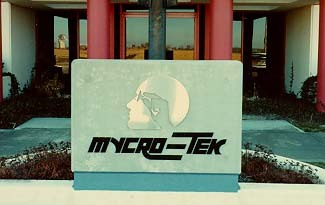 It was for a time the most profitable piece of equipment Mycro-Tek produced, per unit. The net volume in the more conservative editing system for newspapers developed by leading lights Stan Brannan, Larry Runyan, and Steve Markel was more impressive. AdComp sales probably amounted to several million dollars. Also, I developed Multibus dynamic RAM cards with and without error detection and correction, and a Z80-based micro-winchester disk interface with DMA. A Multibus EEPROM card was developed by me, together with the printed circuit artwork. I used PAL logic, and did state machine design. ALso, I prepared research appers on disk drives, operating systems, and developed a proposal complete with detailed schematics for a 68000-based system with a custom memory management unit to support UNIX. In addition, I developed advanced software for print shops, featuring a counting keyboard program, and an automatic hyphenation and justification program. Our first project was a small program to count keyboard keystrokes. It was used to compute all the keystrokes compositors would make while doing difficult composition jobs. Later, I developed a translator for reformating the word processing input of the system into paginated text. Finally, I wrote a smart editor with horizontal scrolling and other advanced features, and copy-fitting software. These were large programs that were installed at several sites. Mycro-Tek marketed this system for print shops nationally, although it was never as profitable as our system for newspapers. I wrote some PLM/86 test software before leaving, and studied the C programming language in connection with a company proposal for installing UNIX on a hypothetical new system. This new system included a design by me, under Larry Runyan's supervision, for a complete 68000-based system card set, including a custom MMU, memory, and peripheral interface cards. It never got into production because our salesmen decided that UNIX was not user-friendly enough for our newspaper market. Instead I went to Kreonite after the sale of Mycro-Tek to Allied Chemical to work on a system for scanning and printing color photographs and proposed a color retouching terminal capable of zooming and panning over very large high-resolution color images with offset registors for horizonal and vertical scrolling. We also considered flat-bed scanner designs proposed by Dwight Krehbeil, who held 51% of Mycro-Tek's stock at the time the company was sold.